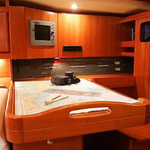 Aquila is a name of vessel Dufour 455 Grand Large ,which was produced in 2006. 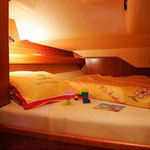 Aquila is furnished with 6 berths. 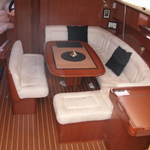 Berths on the yacht are arranged in 6 layout. 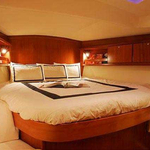 3 cabins are placed inside the sailboat Aquila. 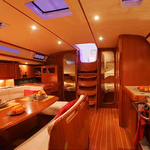 Guests can feel comfy on this yacht , because there are 2 WC with showers for their disposal. 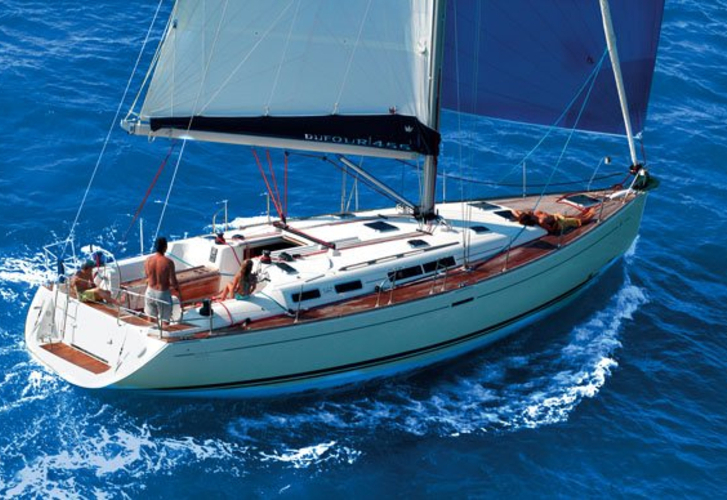 With 250.00 l liters in diesel tank you can sail really far and still be independent because of 530.00 l l. in tank for water. Aquila is supplied with motor 55hp. 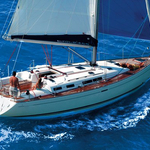 Sailboat's dimensions are: LOA - 13.76 meters , width - 4.30 meters and 2.00 m of depth. 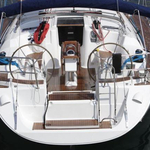 On the yacht is placed following equipment: Dinghy, Bimini top, Anchor electric windlass, Teak deck, Outboard engine, Obligatory skipper, generator, Solar panels, Wind generator, Radio / cd player, TV, TV, DVD player, Air conditioning, Heating, Cooker with grill, Freezer, Microwave, Autopilot, Gps plotter, Gps, Navtex, Radar, Bow thruster, Furling mainsail, Mainsail with lazy jack. . Caution there is 2500.00 EUR.